This piece was created utilizing Brian Eno's Oblique Strategies: Over one hundred worthwhile dilemmas card deck. 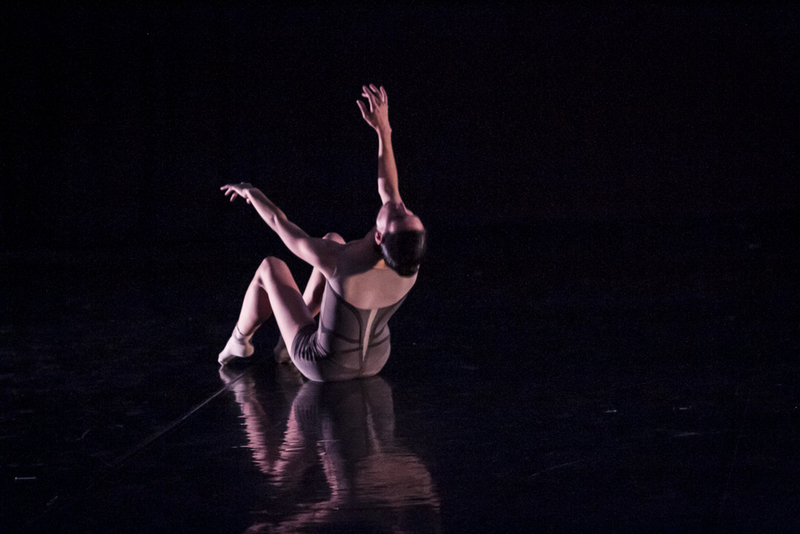 Using each card's directive as an impetus for movement invention and improvisation, dancer Kristin Deiss and I choreographed this work from the material generated in the studio under these directives. While these cards are focused mainly on working with music, I am artistically invested in the relationship between all art forms, in particular the unique physicality that dance provides. I was interested in finding a way of working that was outside my traditional choreographic methodologies, and I was curious to see how utilizing the Oblique Strategies prompts ultimately might shift the way my work appeared in its final product. "The Oblique Strategies evolved from me being in a number of working situations when the panic of the situation - particularly in studios - tended to make me quickly forget that there were other ways of working and that there were tangential ways of attacking problems that were in many senses more interesting than the direct head-on approach. If you're in a panic, you tend to take the head-on approach because it seems to be the one that's going to yield the best results. Of course, that often isn't the case - it's just the most obvious and - apparently - reliable method. The function of the Oblique Strategies was, initially, to serve as a series of prompts which said, "Don't forget that you could adopt *this* attitude," or "Don't forget you could adopt *that* attitude." "
Images of Kristin Deiss by Matthew Gregory Hollis. Costume by S-Curve Apparel & Design.